Will I be able to follow the service? Is it all in Hebrew? Our prayer services are in Hebrew and English with Hebrew/English prayer books with and English translation as well as transliteration for the prayers said in Hebrew so it is easy to follow and sing along. Throughout the service, Rabbi Yanky Majesky adds humor, inspiration and meaning to prayers and Torah reading. At Chabad you will always find a warm and welcoming, non judgmental environment with Jews who consider themselves Reform, Conservative, Orthodox or Unaffiliated but as we prefer to say "labels are for clothing, not for people, at Chabad we are all one Mishpacha". Do I need to be a member? What if I can't afford the suggested donation? 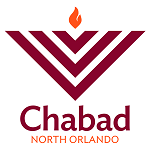 At Chabad, every Jew is a member! All are welcome and no one turned away due to lack of funds. Of course, every gift of support is very much appreciated and allows us to keep our doors open to all during the holidays and throughout the year. Of course! For those children who are unable to join their parents, there is a special interactive and hands on children's service during most of the services (please see the schedule for details).